When thinking about the total cost of a smile makeover, you should also consider the life-changing value and added confidence of an improved and enhanced smile. A smile makeover involves one or more procedures to correct or conceal a range of dental problems. Porcelain Veneers: The perfect solution for cracked, chipped or misaligned teeth, veneers are thin shells designed to cover the front of your tooth. Dental Implants: Replace missing teeth with custom, fixed dentures made to fit your mouth and complement your facial features. Teeth Whitening: With professional whitening, you can correct stained or yellowed teeth and improve the overall appearance of your smile. Invisalign: If you are looking to close gaps or straighten your crooked smile, Invisalign might be right for you. The series of removable aligners allows you to enjoy nearly undetectable teeth straightening. Sometimes referred to as a redesign or reconstruction, the ultimate goal of smile makeover procedures is to create a smile that is beautiful, healthy and fully functional. Since the number of cosmetic dentistry procedures vary from patient to patient, the ultimate cost of a smile makeover varies. For example, if your dentist identifies issues such as gum disease, cavities, or other dental health conditions, the treatment may be more expensive or take longer due to restorative needs. Because treatment is customized, your makeover timeline is also unique to you. Your dentist should provide you with an estimate of how long you can expect the process to last. Investing in your smile has life-changing advantages. Cosmetic dentistry procedures such as dental implants provide a lasting, permanent solution for your smile. With regular dentist appointments and a proper oral care routine, your smile will remain healthy and beautiful for years to come. During the consultation process, Dr. Patel and Dr. Buxton will review your smile makeover options with you in detail, giving you an educated decision about your options. Both Dr. Patel and Dr. Buxton are extensively trained cosmetic dentist and have helped a number of patient completely renew their smiles. 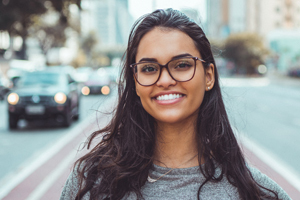 To find out more about our custom smile makeover options and to schedule your complimentary consultation, contact Dentistry at East Piedmont today.